The immediate consequence will be felt by the Indian Air Force (IAF). The IAF has a sanctioned strength of 42 squadrons but it is currently down by a quarter at just about 31 squadrons. Even of these 31, almost half of the aircraft are of the 1960s and 1970s vintage, such as the MiG-21s, MiG-27s, and Jaguars. The IAF was planning to replace these under the MMRCA (Medium Multi-Role Combat Aircraft) program, which featured competition between fighter planes from several countries, with Rafale emerging as the ultimate winner. Negotiations for the acquisition of the Rafale, however, proved to be difficult and the Congress-led UPA government, which initiated the deal, was replaced before the deal could be concluded. But in 2015, Prime Minister Narendra Modi changed the deal and decided to purchase 36 jets outright. 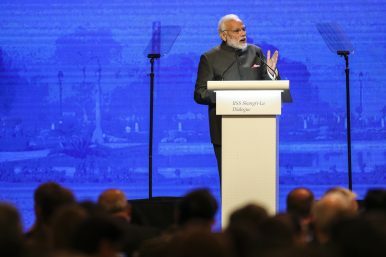 Questions were raised about the sudden change but more recently, opposition parties have charged that the new deal and particularly its offset clause favors business interests, who are alleged to be close to the ruling BJP and specifically Modi. While the deal itself is going through, it still leaves the IAF with a huge shortfall. The IAF has restarted the process for buying another 110 fighter planes, which would see a re-run of the MMRCA competition with the same planes once again competing for more-or-less the same deal. More importantly, the travails of the MMRCA deal highlight once again the politically fraught nature of large defense acquisitions in India. The charges of corruption in defense deals are not new. There have been accusations of corruption in previous defense deals also including the Bofors artillery gun, coffins bought for soldiers during the Kargil War, and the purchase of Augusta Westland VVIP choppers. While none of these accusations have been decided by the courts in India, the political and bureaucratic effects on India have been far more damaging. Fear of accusations has slowed Indian defense procurement to a crawl as illustrated by the nearly two-decade long MMRCA case. Part of the response to these problems has been to write very elaborate rules for acquisition, with the hope being that such rules will eliminate any element of discretion because any exercise of discretion could potentially be challenged as being motivated by ulterior reasons. But other than complicating the process, these rules really haven’t helped smooth the path of defense acquisition. Bureaucrats are increasingly worried about having their name attached to any such deals because they could later be called to answer questions if the deals run into problems at the political level. Thus, they would rather postpone making decisions, leaving the choice to their successors rather than risk being caught up in political games. An important part of the problem is also the inadequacy of Indian police agencies and Indian courts. These cases are usually handled by the Central Bureau of Investigation (CBI), but the CBI has a very poor record of being an effective or independent police agency. It is usually seen as acting on the whims of the government in power, changing its positions on criminal and corruption cases when its political masters change. Even the Supreme Court (SC) has criticized the CBI, calling it a caged parrot. Even more importantly, the CBI’s investigative capacity is also clearly wanting. Even in cases where political masters are presumably interested in letting the CBI move ahead, such as the cases involving a previous government, the CBI has not been able to effectively investigate or close these cases. The consequence of the CBI’s lack of autonomy and its incompetence is that these cases are likely never to be closed but continue to run in political cycles for decades on end. The absence of a neutral and effective investigative and judicial process means that accusations of corruption essentially become simply political ploys rather than matters of justice that eventually reach any closure. Thus, India is likely to continue facing to have difficult time with large defense acquisitions, especially when they involve foreign military equipment. And consequent to this, India’s defense acquisition is likely to continue to be slow and creaky. Combined with low levels of defense budgets, the effect on India’s defense preparedness is likely to be telling.